Founded in 1981, by artists for artists, Bemis Center for Contemporary Arts supports today’s artists through an international residency program, temporary exhibitions and commissions, and innovative public programs. Located in the historic Old Market district, Bemis Center serves a critical role in the presentation and understanding of contemporary art, bridging the community of Omaha to a global discourse surrounding cultural production today. For more than three decades, Bemis Center has provided artists from around the world dedicated time, space, and resources to conduct research and to create new work. Frequently cited as one of the top international residency programs, Bemis Center offers artists private live/work studios, financial support, technical/administrative assistance, and opportunities for intellectual discourse about contemporary art through free public programs, such as panel discussions, lectures, and knowledge-sharing workshops. Nearly 900 artists have participated in the residency program. 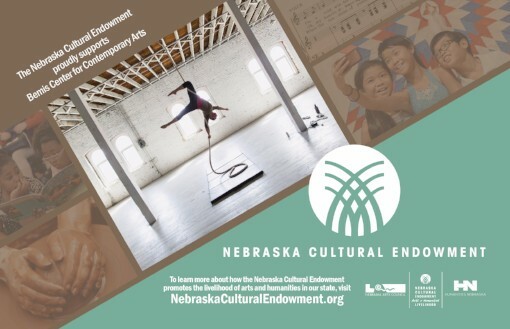 Established in 2017 as the first of its kind in Nebraska, Bemis Center’s Curator-in-Residence Program provides a curator the opportunity to participate in the Bemis Residency Program, serve as a professional resource to Bemis artists-in-residence and the Greater Omaha arts community, and organize exhibitions and public programs at Bemis Center. Throughout the organization’s history, Bemis Center has offered artist-driven, community-responsive programs that bolster civic engagement in the creation and understanding of art. Public programs provide regular opportunities for the public to learn about and be inspired by the visual arts. Through artist-led classes and workshops, ARTalks, open studio events, panel discussions, film screenings, and performances, the community has direct access to artists and to their diverse approaches to art making and interpreting the world around us.